MillenTech was established in 1991 (name changed from MagTek NZ in 1996) specialising in data security ID management and financial banking card and data security solutions. In Partnership with major international security equipment and solutions partners MillenTech have supplied key financial institutions and government systems and solutions for over 25 years. Card Testing International is a close sister company/partner founded by the common directors (for over 20 years). Together, the MillenTech CTI Group are world leaders in field of secure ID management technologies. MillenTech specialises in designing, developing and delivering secure hardware and software identity management solutions. Our primary financial and security solutions based clients were increasingly looking for fast, secure and cost-effective ways to integrate new and/or legacy equipment into existing infrastructures. A greater need from most client has been recognised as requiring more flexible and quick out-of-the-box enterprise level solutions. Thus reducing costly outsourced and often time-consuming infrastructure upgrades. A core competency for the past 25 years has been in PIN security management. MillenTech’s various Customer Select PIN solutions provides our clients the ability to offer their customers an in-branch facility for instant issue of debit/credit cards. This includes instant card issue and facilities to choose or change their PIN on an existing card. The company has particular strengths in the development of user authentication systems and consulting services to help businesses address proof of identity issues to help ensure the security of electronic assets. Identity Management Solutions for hardware or software systems that manage the identities of users. This includes their authentication, authorization, roles and privileges within the bounds set by the system. MillenTech develops, delivers and supports Identity Management Solutions for a business based clientèle with an understanding of their needs. ID authentication for the hospitality industry. PassMate is an identify management system tailored for recognition of bona-fide vs. counterfeit physical ID documents. MillenTech has been working with PIN Authentication solutions for over 25 years. MillenTech's PersonalisedPIN solutions is a Customer Select PIN (CSP) system widely used in many worldwide financial institutions. MillenTech is also keenly involved with new projects using multiple authentication methods i.e. physical PIN entry, virtual PIN entry and Biometric identification. MillenTech's PersonalisedPIN provides a variety of Customer Select PIN (CSP) systems for interfacing and deployment in financial and banking applications. CSP grants issuers and card holders the ability to “instant issue” and securely select their PIN on their magnetic stripe and EMV cards. 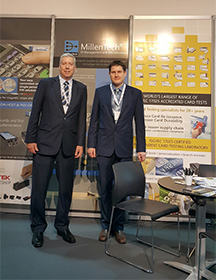 MillenTech is a card and check processing equipment provider. The MagTek NZ team within MillenTech is factory trained and authorised, supplying and supporting technology solutions to many regional and international enterprises. MagTek NZ provides and supports local and regional specialists skills, hardware and software to the card and check processing equipment industry. Click here to view our product selection and support for MagTek products and solutions in this region. With 25 years experience in our field, MillenTech has accrued highly specialised knowledge of user authentication systems. Bank Card Scheme VISA, MasterCard etc. Accredited Compliance Testing. Specialists in quality assurance testing. 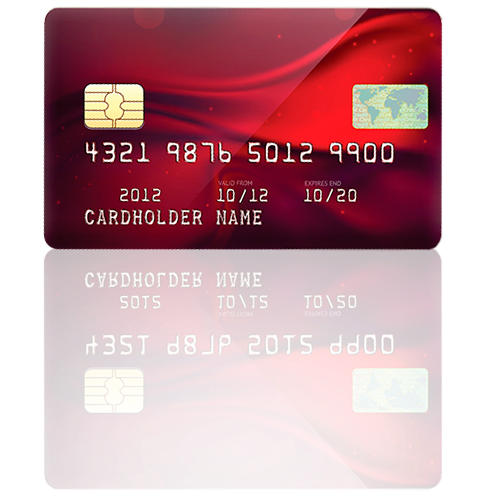 Card Testing International Ltd. (CTI), a synergistic partner now in its 21st year, is the “pure science” arm of the group. CTI vends no products and are fundamentally “Technical QA/QC Auditors” working on behalf of its clients in partnership. It is renowned as the Specialist Electro-Physical card testing Lab with the most ISO accredited tests in the world. It heavily relies on its excellent reputation of high testing accuracy of prescribed of ISO, ANSI, etc. test methods. It also supports the Financial, transport, and government market sectors. MagTek NZ specialises in Magnetic stripe and EMV Smart Card technology solutions. MagTek incorporated of the United States pioneered many of the magnetic reading and writing techniques used today. The MagTek NZ team is factory trained and authorised, and supplies and supports technology solutions to many NZ enterprises, including all major NZ Banks and Financial Institutions. The company works closely with NZ Government Departments and many NZ electronics engineering manufacturers.